Wesley Bell, candidate for St. Louis County prosecutor, votes at First Presbyterian Church in Ferguson on Tuesday morning. In St. Louis County, a longtime prosecutor and an incumbent county councilman were swept out by candidates who possessed different visions for governance. And in some key state and local races, voters vacillated between seasoned veterans and relative newcomers. What percentage will each side of the right-to-work debate obtain? 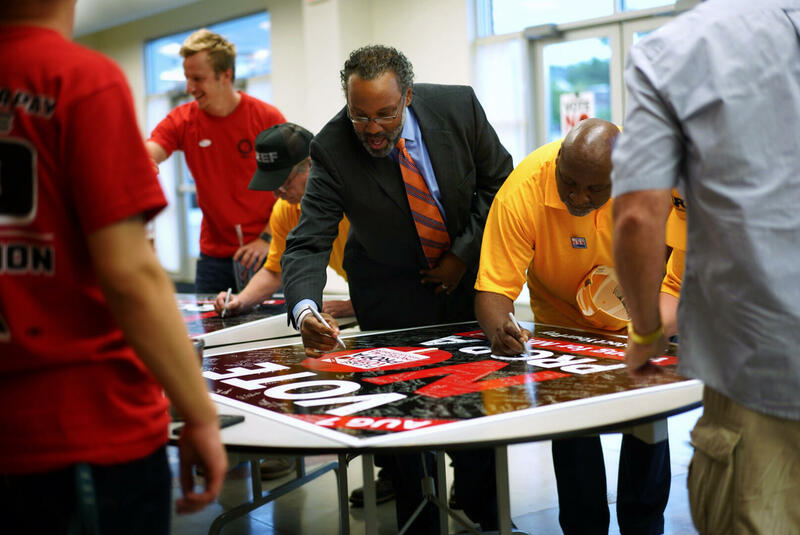 Missouri NAACP President Nimrod Chapel on Tuesday signs a poster urging voters to repeal right to work. This one’s easy: More than 67 percent of Missouri primary voters chose to repeal right to work, while roughly 32 percent wanted to keep it in place. To call that result a resounding victory would be an understatement. 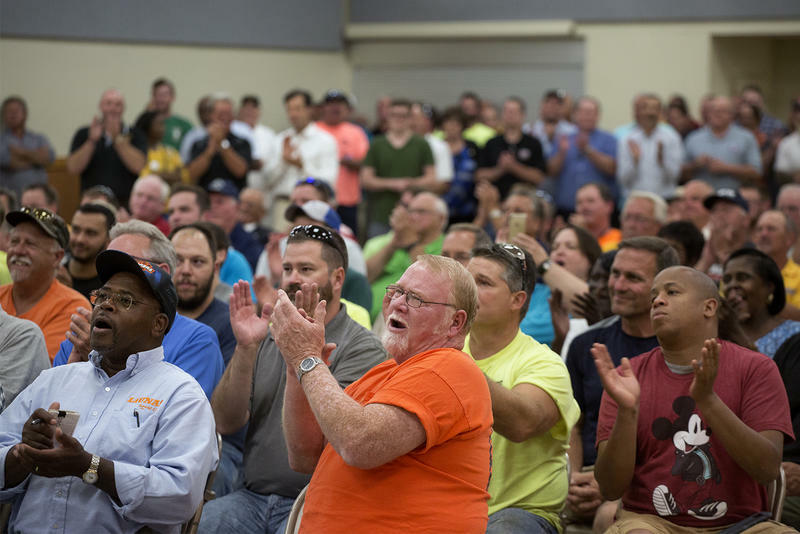 Voters in urban, suburban and rural counties voted overwhelmingly to repeal right to work, which bars unions and employers from requiring workers to pay dues. This proved that moving the referendum to August didn’t make it easier to retain the policy, especially when national and local labor unions could focus their money and organizational energy on one issue. “It will send a high message all across the United States that Missouri’s not backing down, that we’re building on working families and wanting working families to succeed in life,” said Alexis Straughter, who works at a nursing home and is a member of the Service Employees International Union. Labor’s big win could also prompt the GOP-controlled General Assembly to back off from trying to pass another right-to-work law in 2019. Still, those who want right to work in place, like GOP Sen. Bob Onder of Lake Saint Louis, believe the debate isn’t over. “I think we’re going to eventually be a freedom to work state, but I think we’ll have to analyze the results and decide how to go forward from here,” Onder said Tuesday night. How will right to work affect competitive primaries for St. Louis County offices? 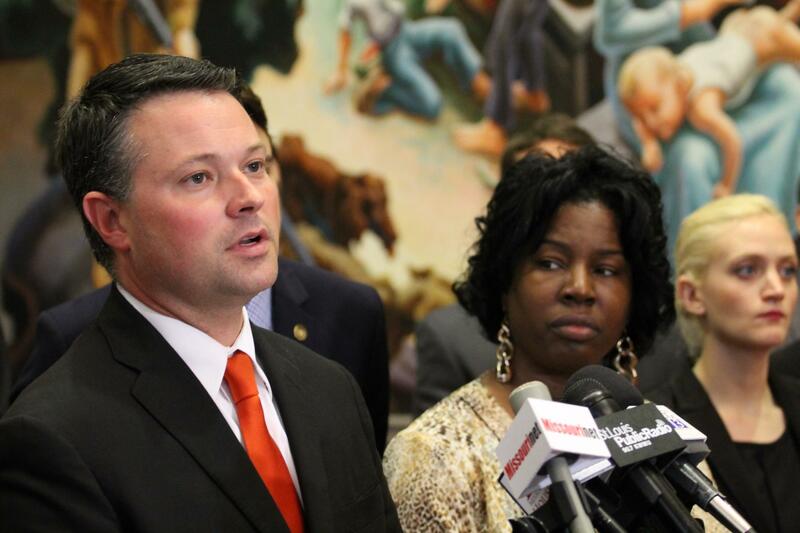 Jake Hummel speaks at a 2015 news conference when he a member of the Missouri House. He was ousted from his Senate seat Tuesday by state Rep. Karla May, who is standing to the right of Hummel in this photo. St. Louis County voters decided to repeal right to work with more than 70 percent of the vote. But despite getting endorsements from every major labor union, St. Louis County Executive Steve Stenger just squeaked by fellow Democrat Mark Mantovani. Two other candidates with labor support, St. Louis County Prosecutor Bob McCulloch and St. Louis Councilman Pat Dolan, lost decisively to Wesley Bell and Lisa Clancy. How will the final results of the GOP primary for Senate shake out? Josh Hawley , Missouri's attorney general and U.S. Senate candidate greets supporters at a campaign event last week at the Republican Victory Office in Winchester, Missouri. This particular contest featured a result that was expected: Attorney General Josh Hawley beat 10 candidates with about 58 percent of the vote. That’s not surprising. Hawley had a major cash advantage over his two closest competitors, Austin Petersen and Tony Monetti. He also received President Donald Trump’s endorsement, which made it difficult for competitors to say that Hawley wouldn’t follow through on the GOP chief executive’s agenda. While at least one national observer questioned whether Hawley’s final percentage was big enough for a front-runner, the margin was unquestionably lopsided. The runner-up, Monetti, received 9 percent of the vote. That means attention now turns to Hawley’s general election matchup with U.S. Sen. Claire McCaskill, which is expected to be one of the most expensive and contentious Senate races in the nation. 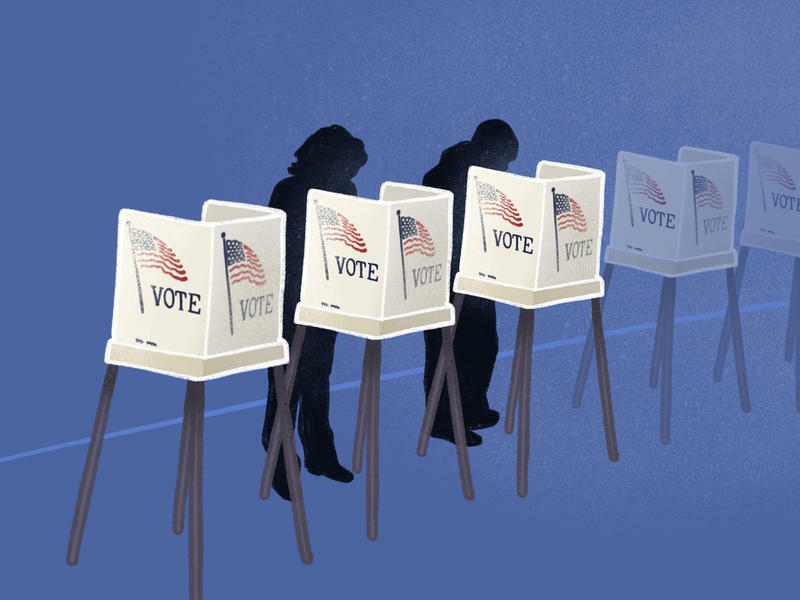 Do voters value experience or newness in state legislative races? 14th District state Senate candidate Brian Williams speaks to attendees before the start of a candidate forum at Beyond Housing. For the most part, voters in the St. Louis area, and throughout Missouri, preferred fresh faces to seasoned political veterans. In north St. Louis County, Raychel Proudie and Kevin Windham Jr. prevailed over candidates with extensive experience in municipal government. Newcomers like Democrat Brian Williams and Republican Cindy O’Laughlin prevailed in races for open state Senate seats. There were some notable exceptions. State Sen. Maria Chappelle-Nadal easily won a four-way race for a University City-based House seat, even though some left-of-center activists preferred Democratic rival Farrakhan Shegog. And every Democratic incumbent state representative from the St. Louis area that faced a primary challenge won re-election. Despite winning some support from national progressive groups and New York Democrat Alexandria Ocasio-Cortez, Cori Bush fell well short of unseating Congressman Lacy Clay in the 1st Congressional District. 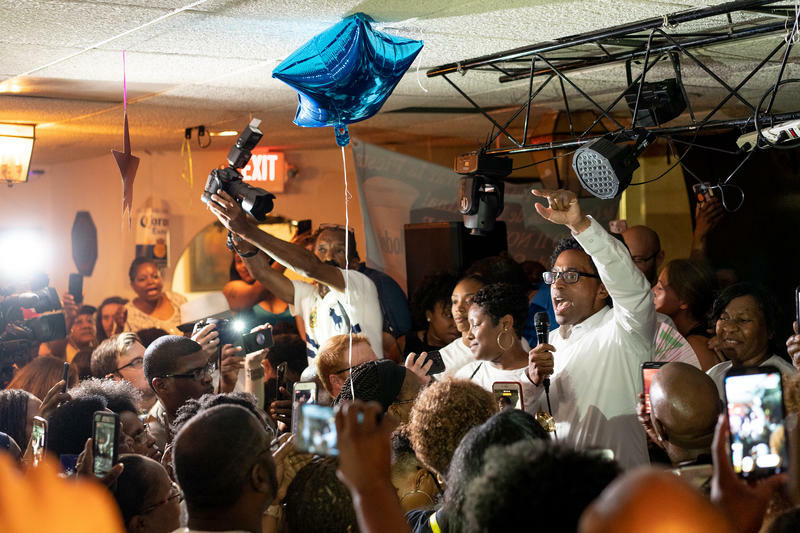 Not only did Clay win by roughly 20 percentage points, but he helped Williams, his longtime aide, win election to the 14th Senate District seat — a sign that the St. Louis Democrat’s political muscle is still quite strong. Can St. Louis Democrats come together after contentious primary season? 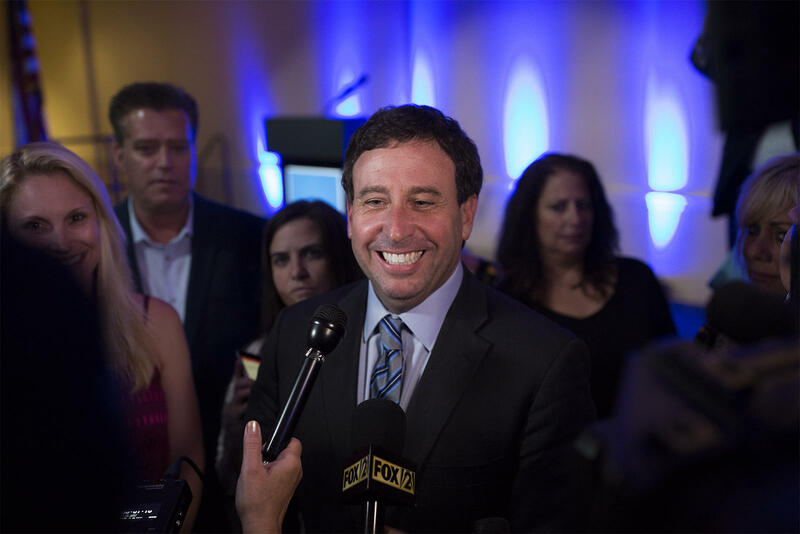 St. Louis County Executive Steve Stenger speaks with reporters after winning the Democratic primary for county executive. This is one question that won’t be answered until November. But the results guarantee that harmony won’t be coming to St. Louis County government anytime soon. For one thing, Mantovani refused to concede to Stenger after falling short by less than a percentage point. The result comes after a bitter campaign, where Mantovani accused Stenger of corruption and Stenger contended Mantovani was a closet Republican. Assuming the results hold and Stenger defeats Republican Paul Berry III in November, his next four years will be bumpy. That’s because he won’t have a single member of the St. Louis County Council that’s allied with him — a seismic change from when he entered office with six out of seven councilmembers on his side. In fact, future council members Clancy and Republican Tim Fitch have campaigned on aggressively questioning the status quo in county government. Stenger said earlier this year that chief executives in St. Louis, Kansas City and Jackson County are experiencing more friction with legislative bodies. He said that he's hoping tensions cool now that the election is over. But with a county council that can overrule him on literally any issue, Stenger may have to change his strategy — or prepare to be potentially bulldozed by a hostile legislative branch for the next few years. On the surface, the purpose of Tuesday’s primary is only to select candidates who will run in the November general election. But in reality, the results could resonate for years to come. That’s because Missouri voters will decide whether to retain the right-to-work law, which bars unions and employers from requiring workers to pay dues as a condition of employment. And in the St. Louis region, prevailing in the Democratic primary is often tantamount to election — especially in state legislative and local contests. GOP Attorney General Josh Hawley and U.S. Sen. Claire McCaskill easily won their respective Missouri primaries on Tuesday, setting up a Senate showdown in November that will gain national attention. And voters in St. Louis-area congressional districts decided to keep U.S. Rep. Lacy Clay in office — and selected Cort VanOstran to square off against GOP Congresswoman Ann Wagner. 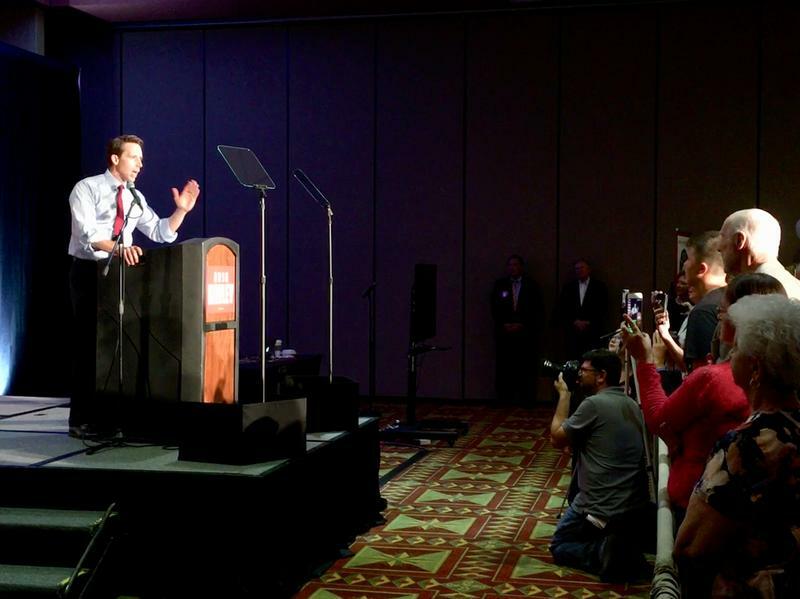 Hawley ended up defeating 10 other candidates in the Republican primary for the U.S. Senate. He’ll face McCaskill, a two-term senator who easily won her primary against six opponents.